It’s lonely at the top! Our Presidents have a uniquely solitary job. They surround themselves with the strength and wisdom of talented and experienced people, but as Harry Truman once said, “The buck stops here.” We can hardly imagine the weight of decisions they must bear. Perhaps that is why we are so familiar with the before and after photographs depicting the accelerated ageing process while in office. These leaders deserve some time to relax and unwind. 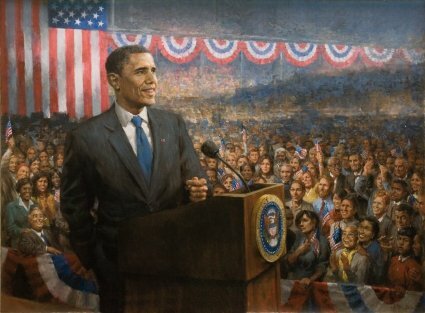 Political Artist Andy Thomas New Limited Edition Painting "Change" Depicts President Elect Barack Obama. Soon To Be the 44th President of the United States of America Barack Obama Has Already Changed History. 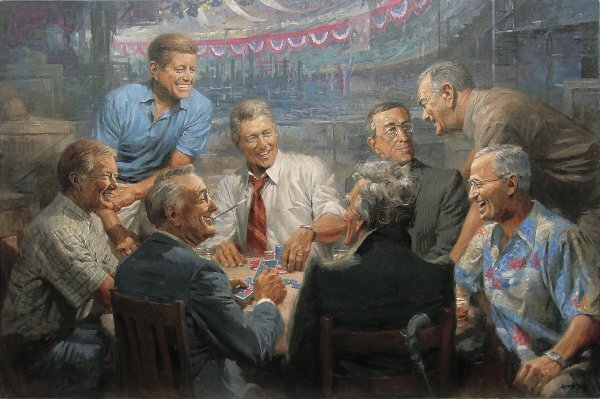 Commemorate his Inaugural Address With This Reproduction Painting. 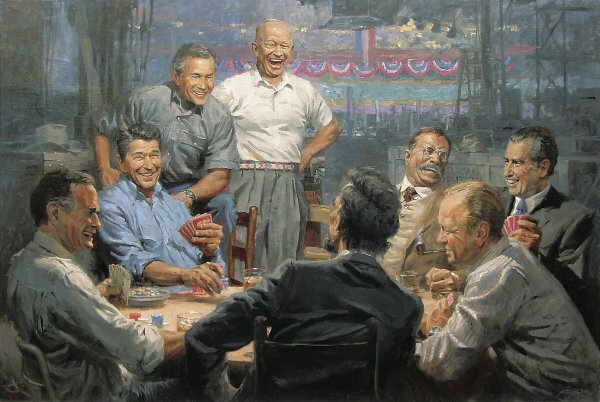 Also see Andy Thomas Previous Political Works "True Blues" of Past Democratic Presidents and "Grand Ol' Gang" of Former Republican Presidents.